Troy Heinritz has had story after story when it comes to his Black List Exposed show. He recently won a podcast award, and now was called by Sony to attend the taping of the 100th episode the Black List. Troy was on the Ask the Podcast Coach show and talked about he when he gets these opportunities, he prepares and delivers, and consequently keeps getting more opportunities. I need the answer to two questions by November 13th 2017. What will you be doing differently in 2018 with your podcast? What is your favorite podcast (if you could only pick 1)? What is it, what is it about? where is it? and most importantly WHY is your favorite? (be sure to mention your show as well). When podcasters first start, they put a lot of thought into their launch (sometimes too much), and they get their show out and into Apple Podcasts and the other directories. Then they do one thing that can really knock the passion out of them: they compare themselves to others. They want to know how many downloads other shows get, and start to focus on other podcasters instead of focusing on their audience. I've played the guitar since I was 11. When I got done with school I would deliver my papers to my paper route, eat dinner, and my friend would come over and we would play guitar for hours. We weren't very good. We weren't taking lessons, and I was learning to play lead by trying to recreate the sounds I heard on albums. In other words, I would study music, and then practice, practice, practice, until I could play it. The music that was produced on the path to “getting it” was not pretty. I have hours of tapes of us playing Ted Nugent's Stranglehold for hours. Each of us would take turns soloing over the top of it. I recorded these so I could evaluate my process. I never intended to release them to the public. You can do the same with your podcast. Record a couple test shows for evaluation. How Can Podcasters Get Better? Podcasters get better by podcasting. I know that sounds stupid, but there is no way to know if you're content is good unless you get it in front of your target audience. You can also study other podcasts and entertainment. 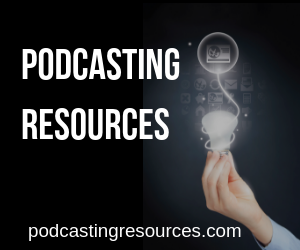 You see podcasting is part of the entertainment industry. Sure some of it is educational. Then again so is Sesame Street, and it's pretty entertaining. 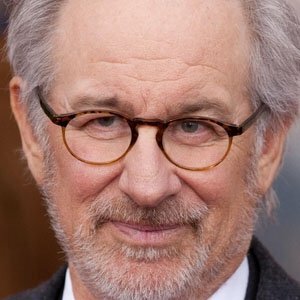 I recently watched a documentary on Steven Spielberg. Spielberg got turned down to be in the USC film school due to grades. He would take a tour of Universal Studios, and when the bus stopped for a bathroom break he would sneak away and watch people like Alfred Hitchcock direct. One of his first films (Amblin 1968 ) was geared toward studio executives to show he was not a normal independent filmmaker. – he knew his audience, and it worked it got him hired. As the youngest director under contract, he was a bit of a novelty item, so he had to prove himself over and over. One famous director pulled Steven aside and said, “There are days you will go on the set and have no idea what you're doing. Your job is to make sure the cast doesn't know that. The film interviewed Richard Dreyfuss who sais he was hired on the third day of the Movie Jaws. He said they didn't have a script, and they didn't have a shark. Steven decided to the movie on the ocean instead of a back lot of a movie studio. In fact, the first shark doesn’t appear until one hour and 21 minutes into the two-hour film. This was partly due to the mechanical sharks they built didn't work. The cost was 225,000. So you'll notice the use of barrels moving instead of the shark. You didn't need to see the shark. Just the music and the thought of the shark made it scary. The sharks were smaller than expected so they hired shorter actors to be next to the shark. The line, ““You’re going to need a bigger boat” was improvised. Jaws became the first motion picture to gross more than $100 million and won three Academy Awards (for Best Sound, Best Film Editing, and Best Original Dramatic Score). So how did Steven Spielberg get getter? Jaws had come in way over budget, and instead of taking 55 days, it took 159. His next two films also came in way over budget. This actually stopped from studios from working with him. Yes, he was making a lot of money at the box office, but his integrity was on the line and he improved. As podcasters we are storytellers. The only way we can get better is to keep podcasting. In the same way that Steven Spielberg didn't have all the equipment he wanted, you can make great content without having the top of the line equipment. Your next episode should be better than your previous one. You will get more confident, and your skills will improve. The only way to get better at any skill is to do it. Don't be distracted by other podcaster's success. Keep working to improve your own skills (keep woodshedding). For me, to have someone say that I am the same off the mic as I am off the mix is a huge compliment. This happened to me when Jim Collison from theaverageguy.tv was a guest on the Podcast Junkies Show. They talk about Jim's background, a bit about his network, working with me, and how Jim balances his podcast and his life. Its a great interview, and Harry Durran is a great interviewer. I was under the assumption that the Squarespace platform for building a website was so easy that the site almost built itself. I've head a million commercials about it. I decided to try it for my Podcasting in Six Weeks Course. I was surprised that I couldn't change the background color of different elements. The biggest complaint is they have an e-commerce tool. This ties in with Paypal and Stripe. Both of those tools take about three percent plus a transaction fee. This is normal. What is not normal is Squarespace takes an additional three percent. When you are talking about products that are four figures, that can be a chunk of change you are paying to keep people on your website (instead of sending them to another page to check out). The bottom line is everyone says this is super drag and drop easy, and while it is easy to drag and drop, to really adjust customize items, there are lots of little boxes that pop up based on where you click. While I didn't expect zero learning curve, the onboarding process was not as easy as expected. If you're on a pc, you can add a folder to the quick access area (left column) of the File Explorer Window. Go to the folder you want to access all the time, and right-click and choose Pin To Quick Access.” Now you will see it on the left-hand side. You can remove it by right-clicking on it and choose “unpin from quick access.” This avoids you having to “Drill down” by double-clicking on folder after folder to get to that folder.